Greetings, programs. Welcome to the second, and hopefully final, installment of Adam’s “Oh God Why Won’t This Headache Go Away” series of half-sized posts. The exigencies of a Hiigaran dreadnaught-sized headache that just wouldn’t quit prevented me from getting this post put together for Monday. Had I met that goal, I suspect this bit of signal amplification would have been a bit more meaningful to Void Destroyer’s developer, Paul Zakrzewski. At any rate, Monday saw Zakrzewski meet a kickstarter goal of $20,000 for the production of a space combat/real time strategy hybrid game. That sound you just heard was my jaw dropping as I marvel at a game that wants to bring together the best of Homeworld and X-Wing. Here’s the most recent trailer for Void Destroyer. 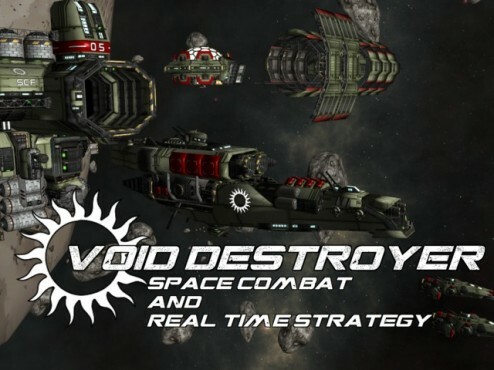 Having logged countless hours into Homeworld and subsequent “Homeworld Complex” mods, the RTS interface for Void Destroyer seems very familiar; this is a good thing, mind you, as Homeworld had one of the most efficient UI’s of any strategy game I’ve ever played. The demo also shows off some of the game’s advanced physics. Though I have to admit it can be a bit much when space sims go whole hog on momentum, some attempt to work within a flight model that recognizes Sir Isaac’s contributions to science proves essential in creating immersion in the outer space setting. If Void Destroyer looks good on the tactical side, it’s appears positively glorious from the cockpit/bridge of a starfighter/starship. The aspect is reminiscent of what I remember of the X-Universe games, though somewhat improved therein. Specifically, I don’t think I’ve ever seen a space combat sim that offered visual representations of how a ship is thrusting along its axis of movement. Here’s the video. 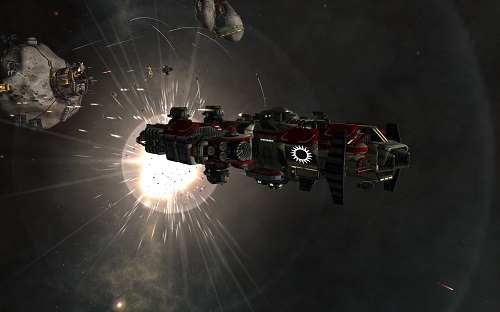 As of this post, Void Destroyer is in a “late alpha” phase of development. According to the kickstarter rundown, it will move into beta “about a month after the end of the…campaign.” Six months after that, the game is slated to go live. Not to put any pressure on Void Destroyer, but I don’t think I’ve been this excited for a game since X-Com Enemy Unknown. Currently, Void Destroyer is up for consideration on Steam Greenlight. Click the link to check it out, and give the game an up vote. Friday we return to our regularly scheduled programming with a guest post from SF and Horror writer Matt Moore.